Start Your Home-Based Business With Young Living | Work From Home! Wholesale pricing – Young Living Distributors save 24% off retail pricing, allowing you the flexibility of selling Young Living Products directly through their drop-ship program via your own already existing website, or by enrolling customers through your Young Living business. Plus, you gain access to all the other specials and promotions offered by Young Living. Essential Rewards Program – As a distributor, you are eligible to enroll in the Young Living Essential Rewards Program for an automatic monthly shipment and reduced shipping rate (not a requirement!). You will also earn up to 20% of each order in Essential Reward Points which are then redeemable for Young Living products. That's right – FREE products! Choose from five different Essential Reward Collections that suit your health goals during checkout, or create your own custom Essential Reward order later. Earn Bonuses and Commissions – By experiencing Young Living products for yourself and sharing those experiences with others, you encourage others to want to try the products for themselves. By passing these products on, you’re rewarded through bonuses and commissions! Simply maintaining an order of 50 PV per month (must be placed on a single order) qualifies you for special enrollment bonuses! Increasing that to 100 PV qualifies you to receive commissions from those people you enroll under you on top of receiving enrollment bonuses. Support – You'll never be alone with this team! Join the rest of your Young Living Team in an exclusive and private support group on Facebook (free to all our team members). Everyone starts out in the Essential Oil Bootcamp where you can learn without being overwhelmed. 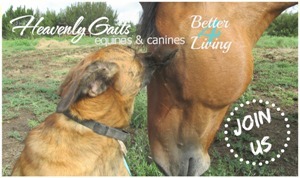 New wholesale members get 30 days FREE access to my special "inner circle" training for horse and dog lovers – Heavenly Gaits Equines & Canines 4 Better Living. We also have special Business Training (Training Center requires you to maintain a minimum 100 PV Essential Rewards order) that were created to help support you in growing your business and provide you with step-by-step video tutorials and other resources you need to start and run a successful Young Living business. It's a great place to get your feet wet! And when you are ready to dive in head first, we have training resources to help propel you through the ranks! Are you ready to get started with your new career and take charge of your own financial future? If you are ready to get started right now with a powerful home-based business improving the lives of people and their families every day, then keep reading! 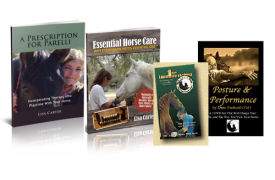 You will need to order a "Starter Kit" (details at the bottom of this page) which will provide you with the materials you need to familiarize yourself with the products, sales aides and training information. This "kit" or "collection" is your business pack and essential for you to get started in your business. To get started creating your account and purchasing your new kit – CLICK HERE! Yes, YOU CAN have your own business and make money from home! And you can do it without having to make cold calls, run people down in the grocery store, and bug all your friends…I've been able to run my Young Living business all from my computer and iPad. I'm not the kind of person that likes to talk on the phone all the time or do "home parties", especially with strangers, so this business model works great for me. If you have a smartphone, computer or other internet accessible device, you can do it too! Or perhaps you really enjoy sharing your Young Living products with people face-to-face and that's a great way to build your business too. Whatever floats your boat…Young Living products are easy to share! What if I just want to enjoy the health benefits of Young Living's natural products at wholesale pricing without participating as a business? No problem! You can enjoy all of the same products that Young Living has to offer anytime you want, with no monthly commitments. When you create a Young Living Wholesale Membership and purchase one of the enrollment kits listed below, you'll be eligible to receive products at 24% off retail pricing. However, you will miss out on the ability to take advantage of the FREE product offers and reduced shipping offered through Young Living's Essential Rewards Program, as well as some of the other benefits listed below. If you are still not ready for that level of commitment, you can simply sign up as a Young Living Retail Member and have the convenience of buying directly from Young Living, but you will pay retail price. If at any time you change your mind and decide you'd like to sign up for the Distributor level to receive wholesale pricing benefits, you can upgrade your account at any time. 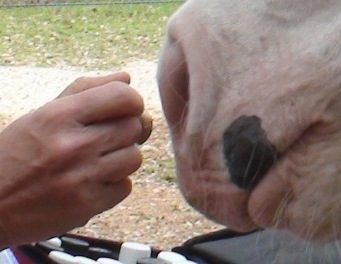 But, here's the kicker! You actually get the most bang for your buck when you order the Premium Starter Kit and create a Young Living Distributor account versus a Retail Customer account. You still do not have to sell anything or maintain a minimum product order unless you wish to receive enrollment bonuses and commissions from customers you enroll under you. 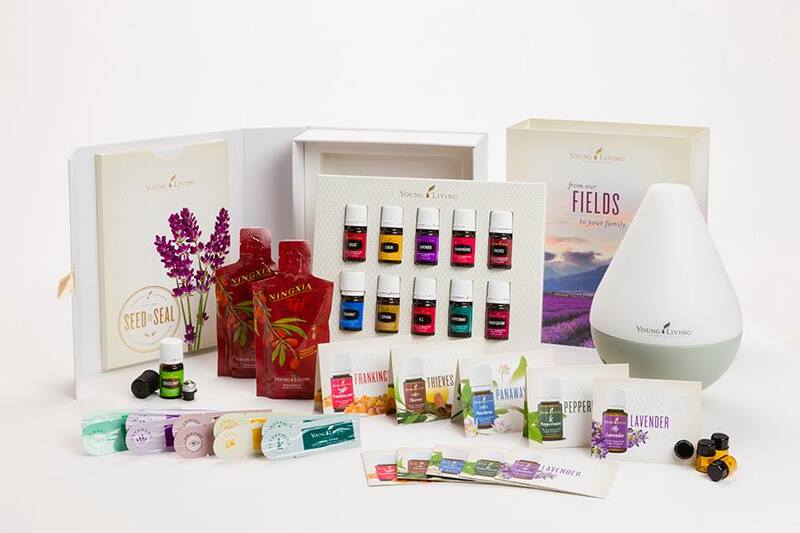 You can order as much or as little product as you wish, plus you get the exceptional value offered with 10 of the most popular and versatile essential oils, plus your enrollment kit includes a Young Living diffuser ($75 value), a FREE 5-ml bottle of Stress Away essential oil, and 10 essential oil sample packets! That's well over $500 worth of products and services you won't get anywhere else. Premium Starter Kit – Start Living with Everyday Oils Kit – BEST VALUE! This exclusive enrollment option also contains ten of our top-selling essential oils and essential oil blends. The specially-selected oils in this collection offer ongoing benefits for your health, home, and body. Enjoy the relaxing benefits of lavender and Stress Away, the cleansing power of Thieves and Purification, the comforting touch of PanAway, and more!